I know what you are all thinking…and no, I’m not referring to that O. [Not in this post, at least!] I’m referring to the big ol’ O of organization! Not quite as exciting but just as necessary for a healthy, happy life…and a successful wedding. I was in desperate need of an organizational game plan for my wedding. 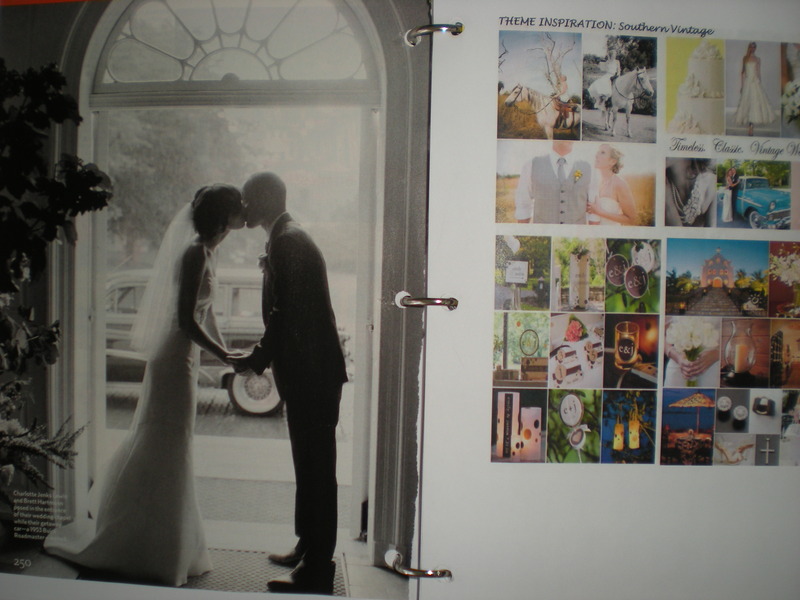 My house was cluttered with wedding magazines, notepads with inspirational ideas, wedding books and photos. Even worse off was my hard drive, which was loaded with saved internet pages, wedding documents and to do lists and thousands of emails between my bridal party, my vendors, and myself. My wedding life, put frankly, was a f***in’ mess! 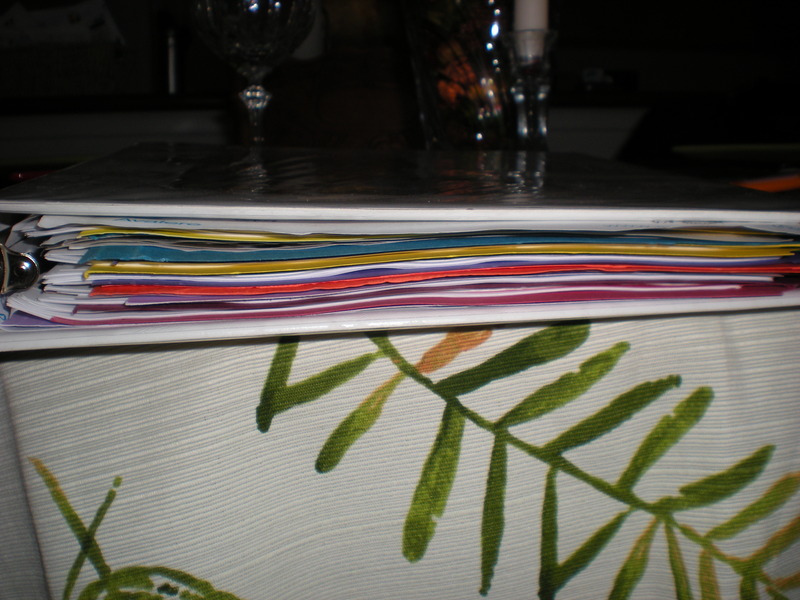 So on day 20 [a day that will live in my mind as the one that saved my life] I gathered all my documents from the house and printed all the documents on my computer and sat down to organize, color code and stick them into a wedding binder. A daunting task, but at this point, I was in need of some serious help and was willing to try anything. 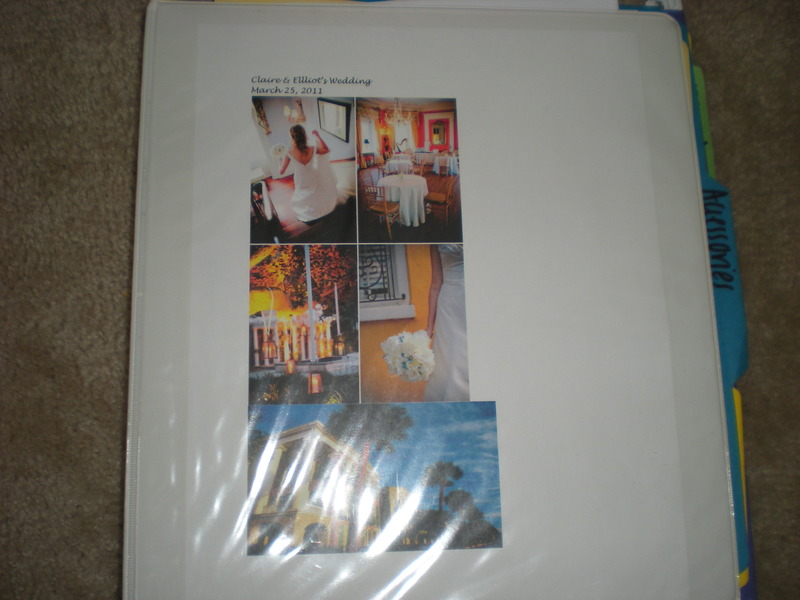 As you can see from the photos above, this binder has a place for everything and anything that relates to my wedding. 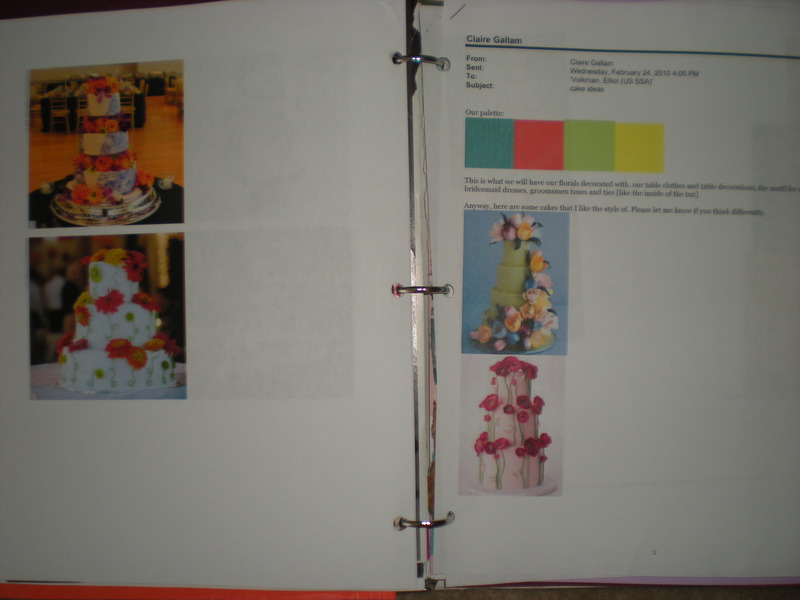 It has theme inspirations, accessories, favorite dresses, vendor contracts, gift bag ideas and our menu. 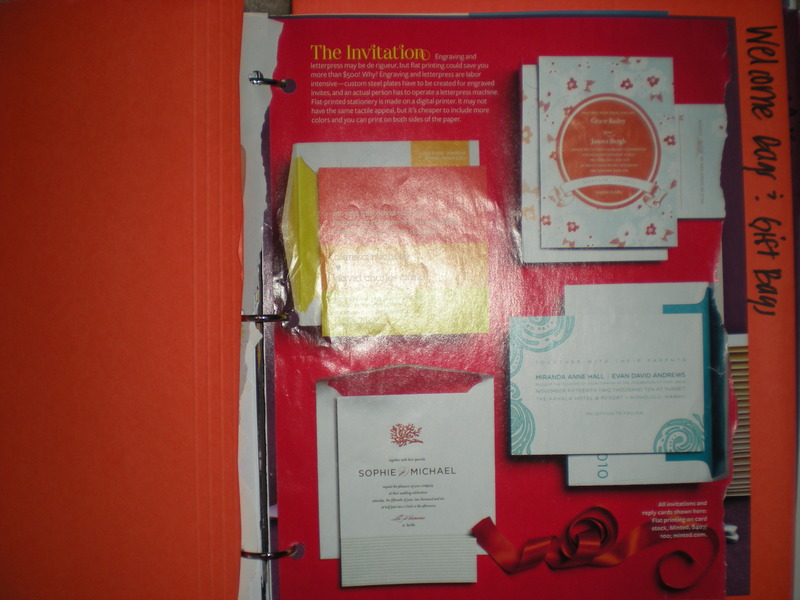 It also has wedding day timelines and to-do lists. This baby has it all and it has already saved me from a few major meltdowns. So brides to be, I highly recommend making a wedding binder. If you aren’t a fan of the binder [or don’t want to lug around something that weights 20 pounds] create a wedding folder on your desktop or in your inbox where you can save all of your emails, to-do lists and inspirational ideas. Having one place that houses all of your wedding information will not only save you time, but can also save you money and keep you from unnecessary freak-outs. It may seem time-consuming to build this binder or save EVERYTHING, but in the long run, the extra few seconds will be worth it. I can’t tell you how many times, already, this binder has come in handy during conversations with a few of my vendors. It is such a time and life saver to have everything easily accessible and in one place. I can’t stress enough, an organized bride is a happy bride! ~ by therealnutritionist on May 16, 2010.